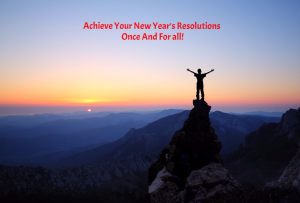 Achieve Your New Year’s Resolutions Once And For All! “What happened to my resolutions to eat healthy, lose weight, pay off debt, laugh more?” I hear this often at the end of each year. A New Year’s resolution is a promise made as we reflect on changes we want to make to improve our life. Over 70% of North Americans make New Year’s resolutions. Research suggests that just 8% of people achieve their promises. How can you accomplish your goals this year? Here’s the answer: set yourself up for success by creating a plan to achieve your goals. Step 1. Set goals from the future instead of the past. The tradition of New Year’s resolutions originated from ancient Roman religion. January is named after Janus, the god of beginnings and transitions. Janus had two faces — one looking forward, one looking backward. Romans imagined Janus looking backwards into the past year and forward into the New Year. On December 31 the Romans would worship Janus and make promises, believing he could forgive their misbehaviour and bless them in the New Year. Before making resolutions, make a list the things you think you should have done in the past year, but did not. Cross out each line while saying, “I forgive you.” Forgiveness frees up space and energy. That allows you to make goals from the future instead of from regrets in the past. Step 2. Understand the difference between want and commit. 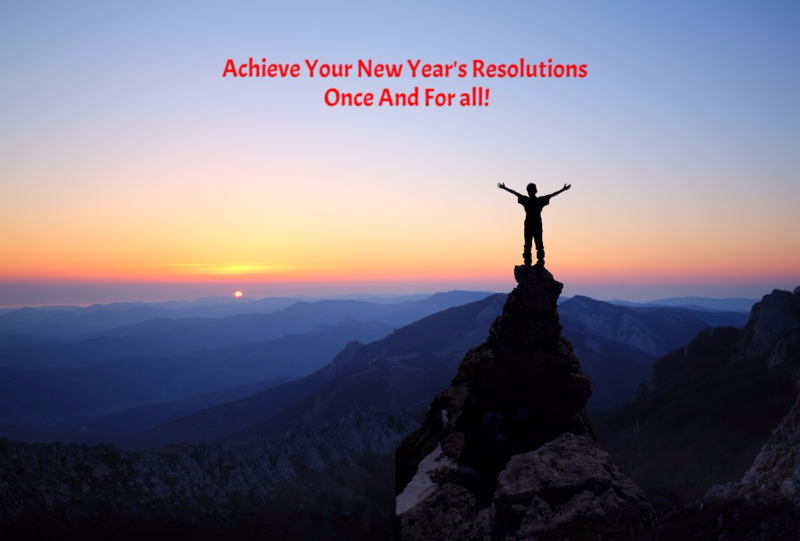 Being successful with resolutions is not only about setting goals but also maintaining them by staying in action. Here are some suggestions. Develop your own system to monitor your progress and assess whether you are on the path to your goals. Write your goals and actions on post-its and put them up in your office, bathroom and car. Make your goals public. Post them on your Facebook page; tell your friends and co-workers. Find accountability partners. Take actions. Block time slots in your calendar to perform actions that will lead to your goals. Celebrate your wins. Set up a reward system for yourself. Schedule personal time to recharge. Read a book, watch a movie, play with your pets, or go for a walk. You will find you become more effective, energetic and inspired. Now you have the tools. Go ahead. Create your goals and have the year you want. You can do it because you said so.